Florence with its museums, palaces and churches retains some of the greatest artistic treasures in the world. The Florence's most popular and important sites are the Cathedral, the Baptistery, the Uffizi, the Bargello, and the Accademia. From June 2011 HARD ROCK CAFE can be added to the list, hosting some of the most valuable pieces of memorabilia of the Rock n Roll world. 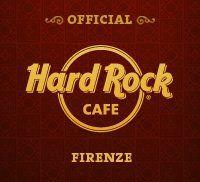 Take a look at the last Hard Rock Cafe in Italy.